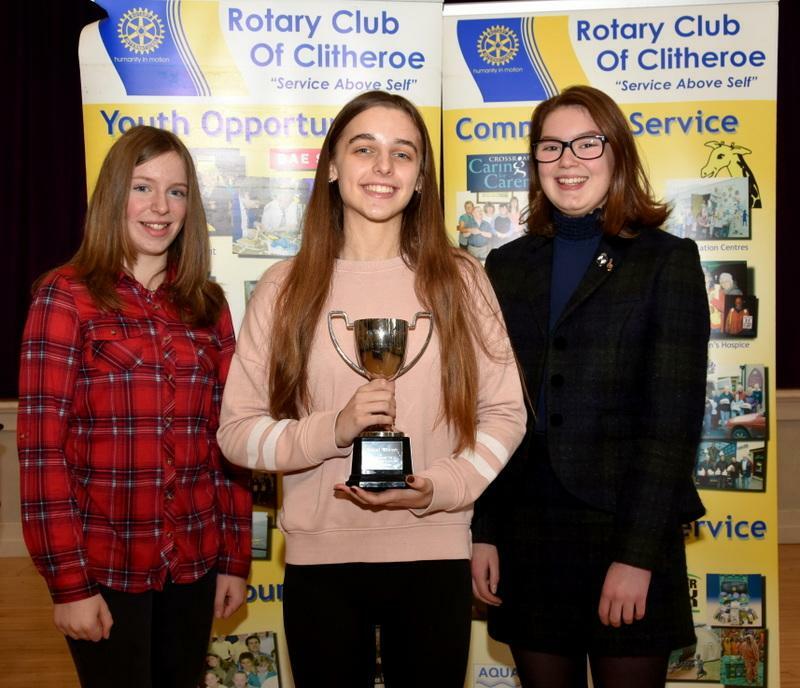 The Rotary Clubs of Clitheroe and Ribblesdale jointly sponsored the First Round of this year’s Rotary Young Musician of the Year competition, which was held at Clitheroe Royal Grammar School on Saturday 16th December 2017. 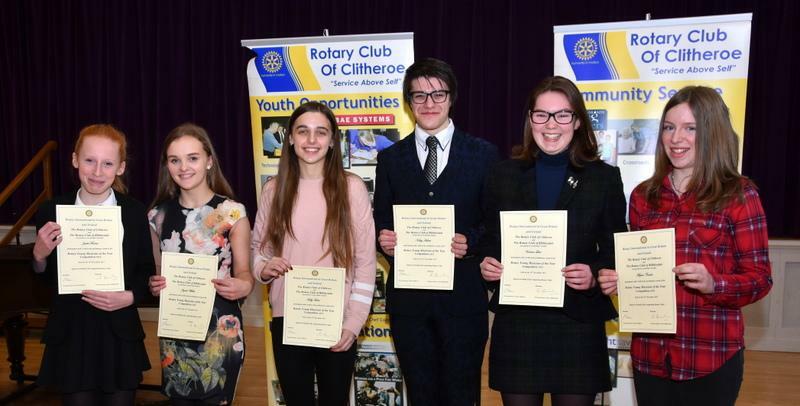 Six competitors, of which two were pianists, one cornetist and three vocalists performed to a very high standard before an appreciative audience, with the aim of progressing to the Rotary District 1190 final which will be held on 4th February 2018 at Queen Elizabeth School, Kirkby Lonsdale. 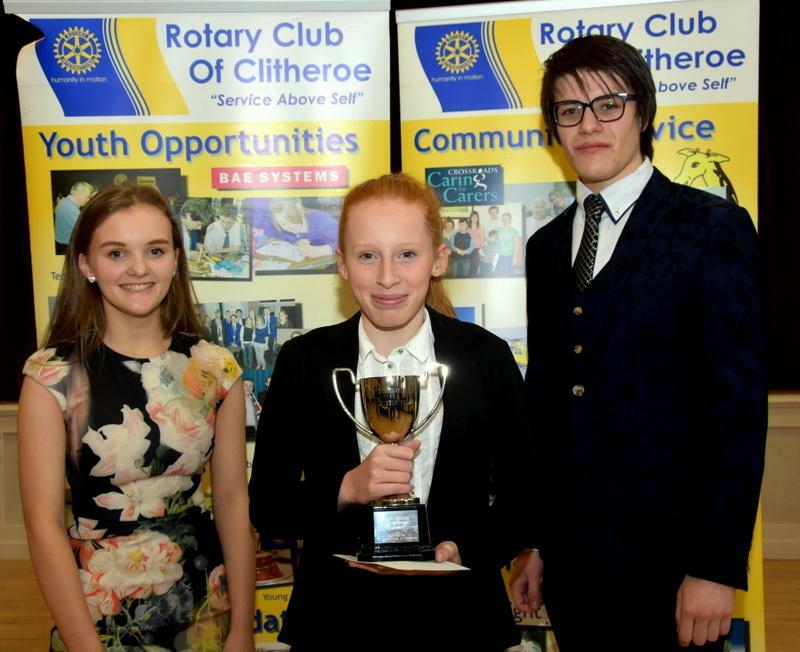 Although the competition is open to all our local schools, only Clitheroe Royal Grammar School, via their Director of Music, Dr Philip Allcock BMus (Hons), MA, PhD responded to our invitation to provide contestants, for which our Rotary Clubs are most appreciative. 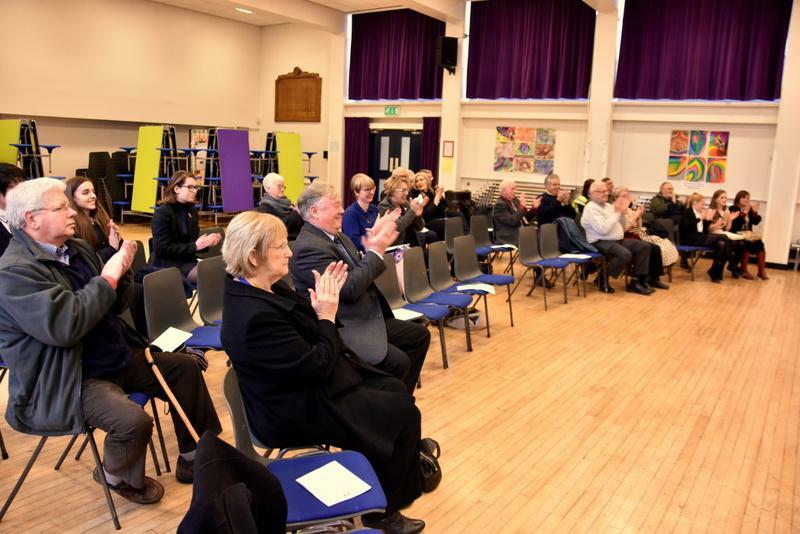 The performances were adjudicated by Dr. Daniel Holden BSc (Hons), MMus, PhD from Pontefract and an ex pupil of St. Augustine’s RC High School, Billington and local Jazz musician Rotarian Nick Mahon BSc (Eng), ALCM who is a member of the Rotary Club of Ribblesdale. 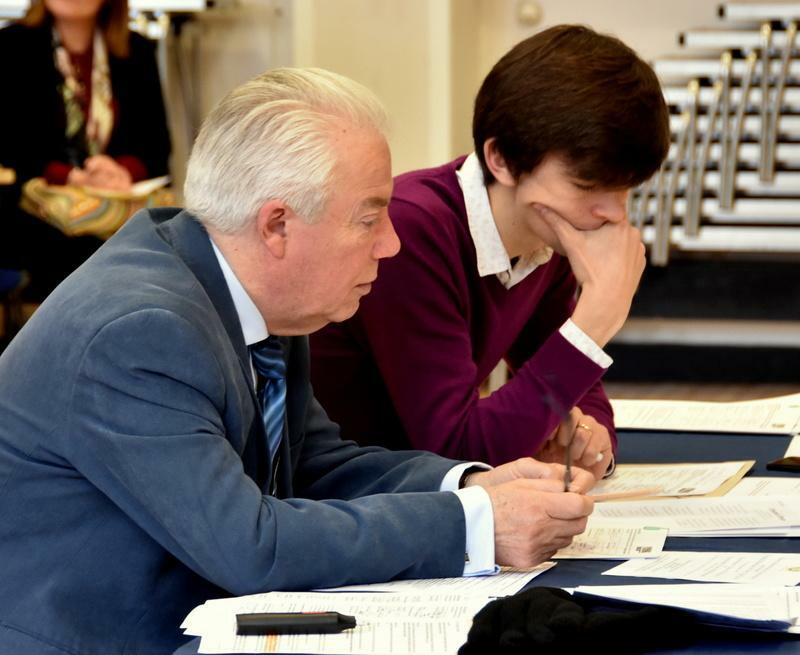 They provided encouraging and constructive comments on the programme of each competitor and, in delivering their results, conceded that it was a very difficult decision, but the following four competitors will progress to the District Final. 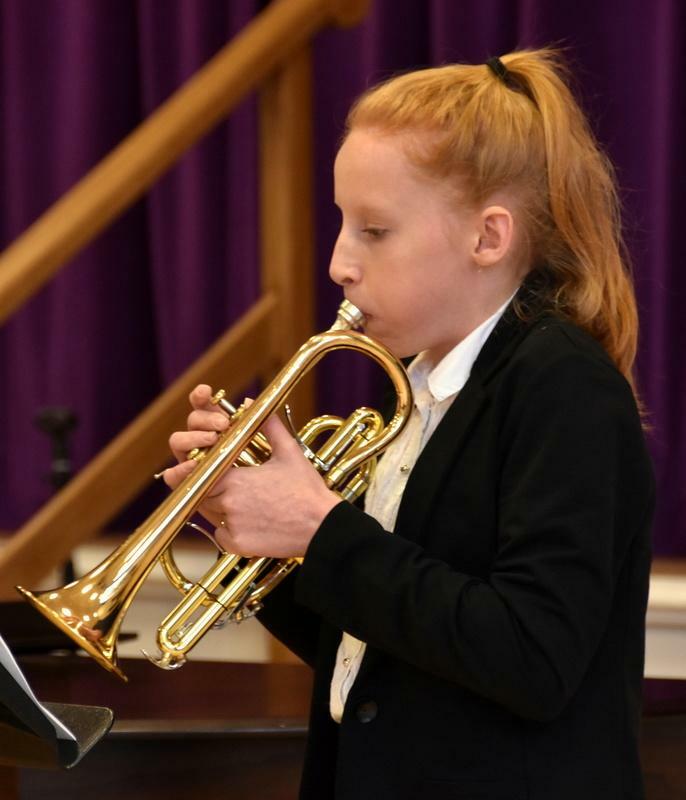 The winning instrumentalist was cornet player, Izabel Forrest who performed “Woodland Song” by Eric Ball and a contrasting Jazz number entitled “Funk” by Allen Vizzutti . 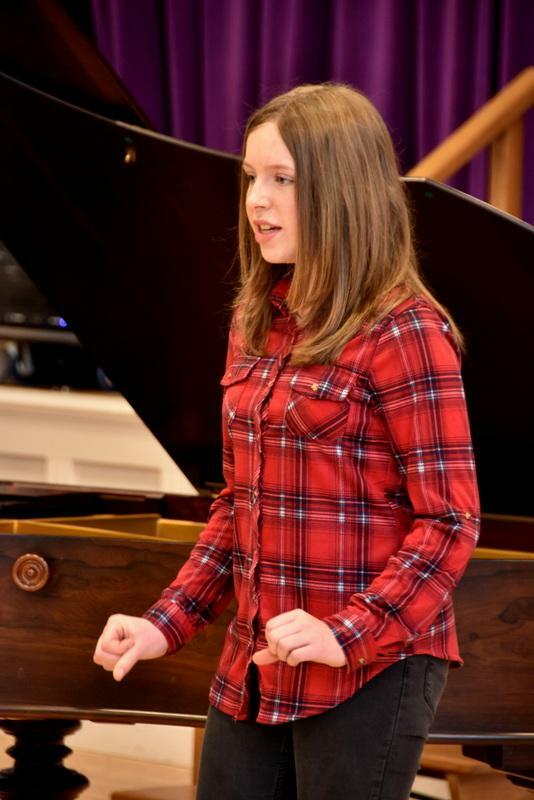 The runner up was pianist, Kelsey Hewitt who played “I Giomi” by Ludovico Einaudi and Chopin’s Prelude, Opus 28, No.25. 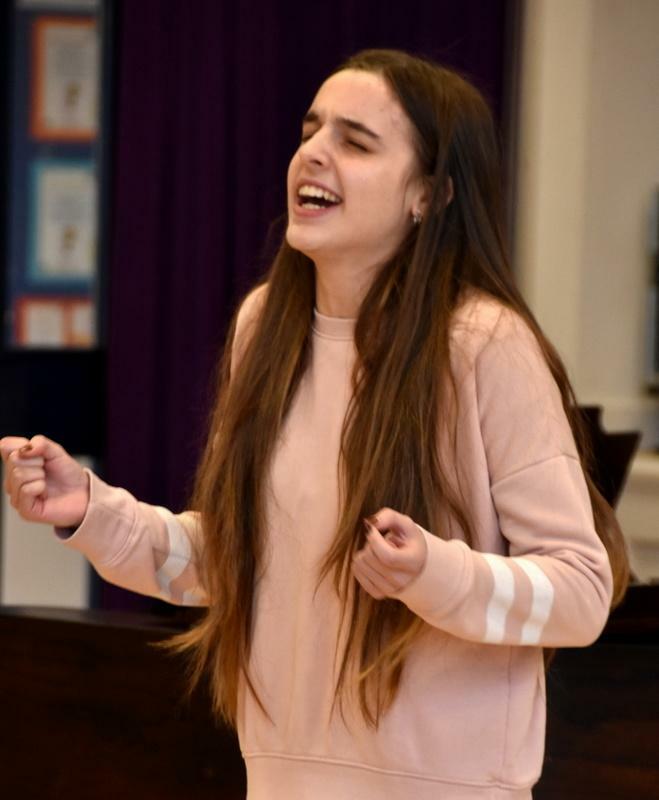 The vocalist section was won by Holly Foster who sang “I Dreamed a Dream” from Les Miserables and “I will always love you”. The runner up was Megan Conlon with her A capella rendition of Louis Dressler’s “Drink to me only”, followed by Sarah McLachlan’s “When she loved me “ from Toy Story. 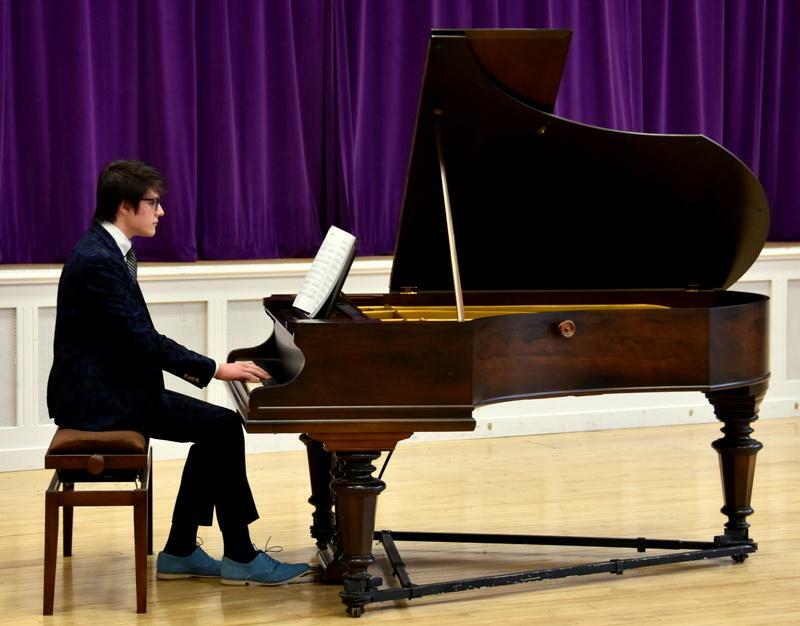 Both instrumentalists were complimented on their interpretation and presentation of their pieces and the vocalists were complimented on their vocal interpretation of their choices, enhanced by their acting to the lyrics. 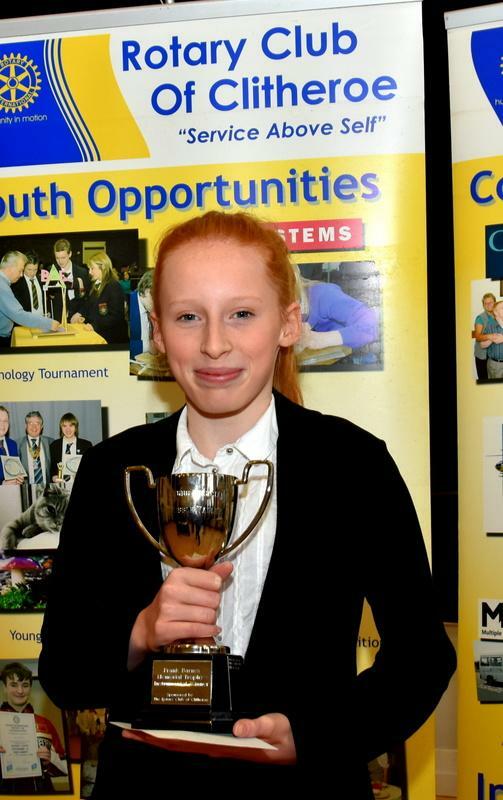 Winners from the District competition progress to a Regional final and thence to the National Final which will be held on Saturday 19th May, at Heriot Watt University, Edinburgh Campus Edinburgh, Scotland, EH14 4AS. 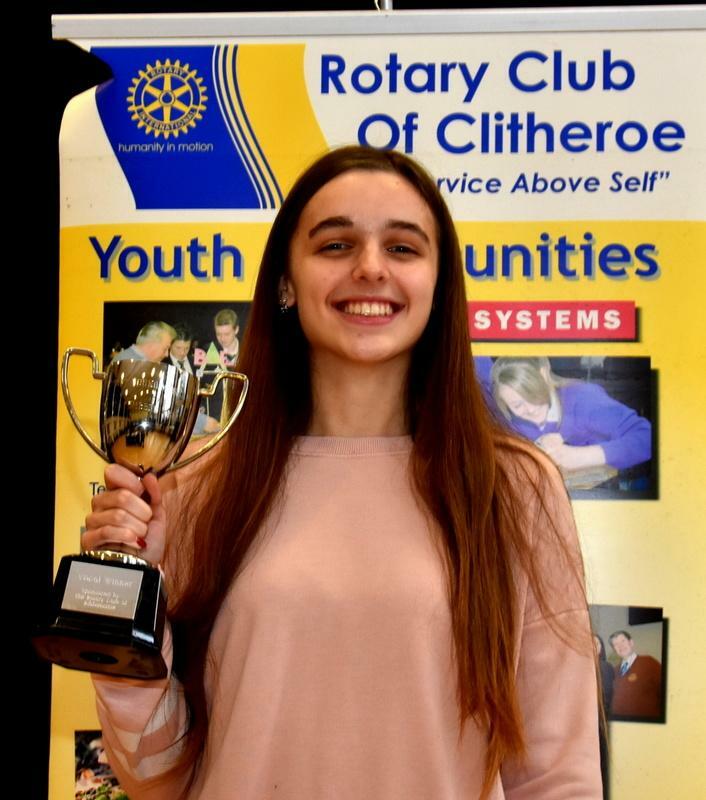 The Rotary National Young Musician Competition is a well-established and successful series of events promoted by Rotary International in Great Britain and Ireland, the purpose of which is to support and encourage the development of musical talent. 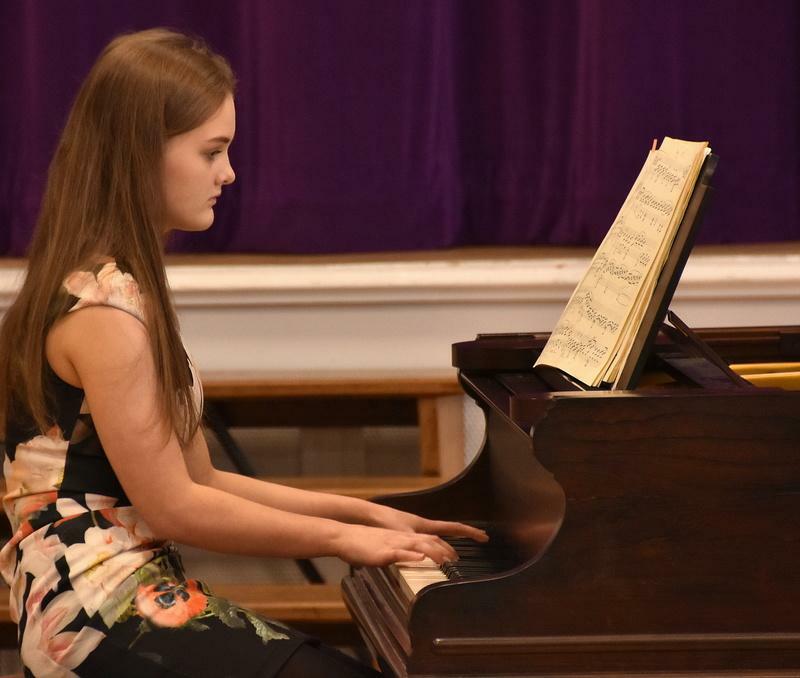 It offers young people the experience of performing on a public stage, giving them an opportunity to showcase their musical talent and to receive impartial constructive feedback and assessment of their performance by experienced adjudicators. The competition is open to young amateur instrumentalists and vocalists who are in full time education, from schools and college communities, including those who are home educated, but excludes full time students of music or performing arts.